From hats to shoes, Aldo provides a wide range of both men’s and women’s accessories. Originating in Canada, Aldo has grown into a worldwide operation with stores in Canada, the US, the UK, and Ireland. Additional stores have been franchised on the international front. Stop by your local store to submit your Aldo application and join this growing corporation. Founded in 1972 by Aldo Bensadoun, the corporation initially focused on the shoe industry but has since ventured into the world of accessories. Offerings include jewelry, sunglasses, socks, scares, and even swimwear. In addition to providing unique, quality products, Aldo also maintains a strong focus on philanthropy and has grown a reputation for its commitment to society at large. Causes such as War Child, the Cure Foundation, Baskets of Hope, and Youth Fusion are just a few of the programs Also has supported in its mission to be a good corporate citizen. Employees, especially those located in their Montreal headquarters, can expect frequent participation in fundraisers and volunteer initiatives. Those with Aldo careers will maintain a strong focus on giving back to communities. Aldo’s mission is geared to provide an exceptional customer experience. They focus on three key values to accomplish this – love, respect, and integrity. These values can be found in every division, department, and training initiatives. People in Aldo jobs are highly motivated not only by the enriched environment, but also by the recognition and incentive programs. Applications can be submitted online, but there is no download application form option. Working in an Aldo store is like a destination experience. Every detail is carefully planned from physical location to lighting. Store layout, music, and visual presentation are all taken into consideration when creating the in-store brand experience. When you apply for jobs at Aldo, you are committing to be a part of this diligently strategized experience by providing top-tier customer service. Positions include sales associate, assistant manager, and store manager. If you submit your Aldo application to work in the corporate office in Montreal, you are in for a real treat. Not only will your colleagues be a group of highly motivated, creative minds shaping the future of the company, but you will also have a variety of fringe benefits that come with the environment. A community garden, car wash, and fully-equipped gym are just a few of the perks. How old do you have to be to work at Aldo? There is no minimum age to work at Aldo. Interested applicants are encouraged to stop by their local store with their resume to submit a direct application. 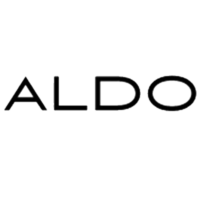 If you prefer to browse possibilities first, click the link below for more information on how to apply for Aldo online. A printable application for Aldo is not available through their website. Benefits for full-time employees include health insurance, educational assistance, and language training. Family is a priority for this company which is why subsidized day care is also offered. Aldo provides local organic fruit and vegetable delivery to the office. After stocking up on nutrients, employees can hit the state-of-the-art fitness facilities to stay in shape. All this and more starts with a free application. Sales Associate – Aldo’s sales philosophy is about meeting customer needs, not just pushing sales. Sales Associates are responsible for helping the customer conclude their visit leaving satisfied and happy. They do this not only through effective communication, but also by being a part of the tight knit, family-like team in the store. Median hourly wage is $10. Store Manager – The store manager is responsible for meeting store and company objectives. In addition to financial objectives, they also oversee the visual presentation strategies from product arrangement to cleanliness. Store managers foster the family-like team atmosphere in the store and assist their team members in development. Median annual income is $38,000. Footwear Designer – Knowing the latest trends isn’t enough for a Footwear Designer at this company. Style development and trend interpretation must be translated to technical sketches that keep this company on the cutting edge of fashion. A bachelor’s degree in fashion design is required for this role. Median annual salary is $63,000. Financial Analyst – Department managers need information for financial planning and the financial analyst role is designed to accommodate this need. Preparing financial forecasts and budgets is just the start of the responsibilities for those working in this role. Both a bachelor’s degree and experience are required to apply online or in-person. Median salary is $77,000 per year. Consumer Insights Manager – This position is focused on research and identifying improvements. The person in this role not only coordinates efforts to solicit feedback, but examines the feedback for actionable opportunities. A leader in the Voice of the Customer program, this individual must be well-versed in both qualitative and quantitative research. Median annual salary is $127,000. What do you think of the current fashion trends? Fashion is the industry in which you have applied for employment so be sure to walk into your interview with some knowledge. Do your research and be prepared to chat about it. Be conversational and don’t be afraid to ask questions. If you get your interviewer talking about something they enjoy, the experience will be memorable for them. Why did you leave your last job? Be honest with this answer, but avoid insinuating you are anxious to leave a bad situation. Talk about the role you are applying for in terms of new challenges and opportunities. The more your interviewer feels they are wooing a great candidate, the better. Describe your personal style. Again, remember the job description of the position you applied to and the industry in which you want to work. Be prepared to talk about your personal style, but better yet, demonstrate it. Think carefully about what you wear to the interview and what your choices say about who you are and what you could bring to the company. What kind of leader are you? If you have applied for a management position, this question has a high likelihood of being asked. Being a leader isn’t just managing people. It’s motivating and inspiring top performance. Talk about how you hope to lead your team to greater success. Give specific examples about how you’ve done this successfully in the past, if possible. Tell me about your previous experience. You interviewer has your resume and/or application. Don’t simply list your previous positions. Describe your responsibilities and the skills as they relate to the job you are applying for. Be sure to maintain a positive attitude even if the experience at a previous employer was negative. The company encourages candidates to stop by a store or headquarters to inquire about employment. You can also apply for Aldo jobs online. The latter option will be helpful in determining what locations are hiring and help you find job opportunities that fit your skill set. You can submit your online application or go to the store and request an application form. Don’t worry about the lack of a printable application form. The submission process online is easy to understand and navigate. If you do not see an open position for the location you are interested in, you can still submit a general application form or stop by the store to speak with a manager. If possible, send a note to your interviewer thanking them for the time they spent with you after your interview. Try not to be anxious waiting for a response. In your interview, be sure to ask about the timeline for hiring and next steps. Wait for the timeline to expire before sending a follow-up. Make sure your resume incorporates key words from the job description. Tailoring your resume to the job you are applying for will make your application stand out. Prioritize skills that speak directly to the needs of the job and make yourself standout. Be prepared for an on-the-spot interview when you take your resume to the store.